Yamaha PSR keyboard questions and answers 3. 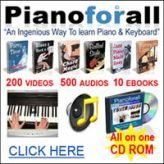 This is the place to ask Yamaha PSR keyboard related questions. Ask any question you may have on the entire range of PSR keyboards and respond to the questions of others. Click here to learn about the best places to shop for Yamaha PSR keyboards. Yamaha PSRS-550 can't switch off style/auto-accompaniment when recording? PSR-E323. FLASH MEMORY. FLASHERR Error when transfer .midi or .sty files. How to record the output of the Yamaha PSR 413 on my PC? can i purchase worship style files that are on the psr s 910 keyboard to input to my recently acquired psr s 710 keyboard ? Yamaha PSR-E223 Can I split the voice on the keyboard? CAN THE PSR2000 MIDI FILES BE USED IN THE PSR S910?,OR ITS SOUND FILES OR STYLE FILES? Where can I buy a new adaptor (PA-5B/5C/51) for my Yamaha Portatone PSR-340? I have lost the original one. Thank you. how to remove the delay effect on the mike in my psr 3000 keyboard? label the keyboard with the correct notes. I am looking for a sheet music holder that attaches to the Yamaha PSR-2 keyboard. Any ideas? I have a Yamaha PSRS 900 & i want to transfer a style to a Yamaha PSRS 700. I have a midi cable but dont know what to do? Yamaha PSR-275 Transpose all keys? Yamaha PSR Styles for worship band? Can I replace the floppy disk unit that no longer works on my Yamaha PSR 620? I'm using I455 keyboard. 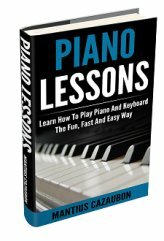 After 8 months D and A flat keys in each octave are not working. What may be the problem? Pls can anyone tell me. Hi, what should i do to fix my yamaha keyboard PSR-S770 when it display the message "SYSTEM BOOTER VER 1.0, PLEASE INSERT THE INSTALLER MEDIA". Once i arm the record button in creating style in my psr 670, a message appears like this "song recording is not possible now" can somebody help? All of a sudden F sharp and G went silent on the 1st four octaves of my yamaha psr-220. What happened?